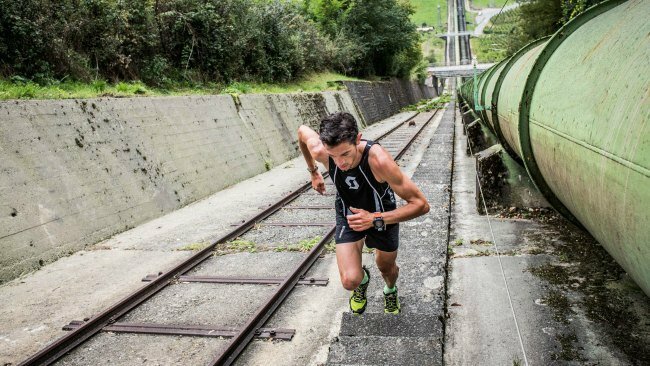 I wrote about the Red Bull 400 meters Uphill race, as well as the 400 meters Uphill Stairs Race (426 steps). If you haven’t read those articles, take a look at them when you have a chance. We’ve seen races up the CN Tower or Empire State Building using the stairs, but how about a straight 800 meters up a very long set of stairs? 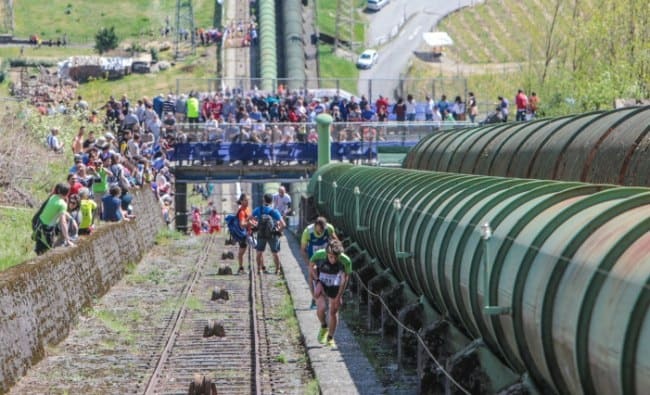 Fear not, The Valtellina Tube Race is here (in Valtellina, Italy, near Lake Como district). Anytime you have anaerobic glycolysis with lactic acid (or acidosis with an accumulation of hydrogen ions, or H+) you will be in a world of hurt. 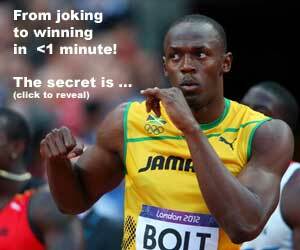 Usually from 15 to 40 seconds, and again from 40 seconds to 2 minutes. The 800m falls into this category after 2 minutes! Also, if you fall, stumble or trip, well, that too is a world of hurt! Take a look at the pictures! Did I say 2 minutes? Ha!